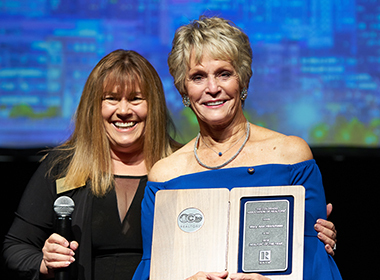 The Colorado Association of REALTORS® is the state’s largest professional, voluntary, non-profit, real estate trade association that is dedicated to serving more than 25,000 REALTOR® members across the state. These agents are also members of 33 local associations statewide and the National Association of REALTORS®. CAR’s purpose is to protect ALL issues and fields of Colorado’s real estate industry which includes all property owners, land owners, home owners, commercial brokers, residential brokers, resort brokers, rural brokers and property managers, to name a few. It is vitally important to protect real estate professionals and ensure they are more successful when they become REALTORS®. CAR exists to make REALTORS® more successful. From time to time we’ll put out a search for qualified applicants to join our CAR family. If you’re interested in joining the CAR team, check out our current job openings. Thank you for your commitment to making a difference in Colorado’s real estate industry and your dedication to Colorado REALTORS®! Faithfulness and willingness to support the articles and principles designed to distinguish REALTORS® as professionals of real estate to others in the business as well as the general public. Activity through board office and committee work, special assignments, educational development or membership in a REALTOR® institute, society or council chapter. Involvement through elected or appointed positions, committee work and attendance of state business meetings as well as the pursuit of educational or professional designations. Recognized activity within the national structure through involvement in committees, task forces, or leadership roles. Local, state and national level participation in activities benefiting the public for example: service clubs, charitable organizations, political, fraternal or religious groups. Recognized good business conduct, utilizing REALTOR® principles to provide the best, competent service for clients. Although nominations from individual members are welcome, the selection committee strongly encourages nominations to be supported by the local board of directors and signed by the board president. Questions? Email to Monica Panczer, or call 303-790-7099.